Buy More Stripe Grosgrain Ribbon Save More! Blue and White Striped Grosgrain Ribbon is made from 100% polyester and measures 5/8" wide and 25 yards long. 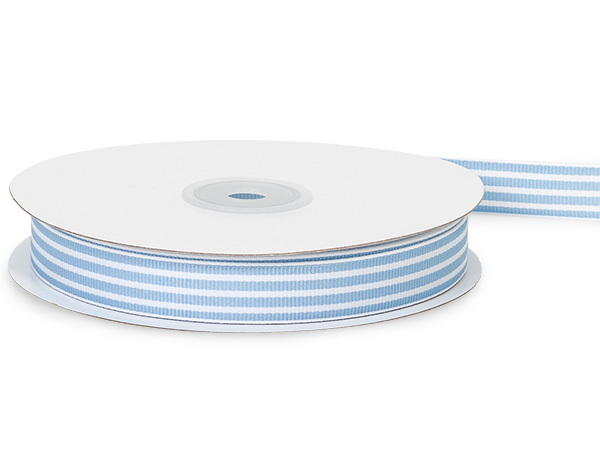 Crisp and easy to tie, this grosgrain ribbon is made of polyester and has stripes on both sides! Available in great colors on a natural grosgrain color. Machine washable!